There is a lot of critical thinking involved in this game. Can you complete a world in one day? Can you collaborate with others to figure out the answers? Make My Disney Trip Magical! As you know, I am taking a trip to Walt Disney World after school is out this May. I thought it might be fun to "outsource" some of the work to you. Transportation and Lodging- How will we get there and back? How much will it cost? Will we fly, drive, or do a combination of the two? Will we rent a car or take Magical Express or both? Where will we stay while at WDW? Will we need to stay at hotels on the way there or back? How much will it cost for all of us? Restaurants- Where will we eat at WDW? What park restaurants are the best and which should we avoid? Should we eat at any of the restaurants at the Disney World hotels? What should we do about food on the way there and back? Magic Kingdom, EPCOT, Animal Kingdom, Disney Studios- What rides should we ride? Which rides should we avoid riding (keep in mind who will be on the trip!)? How many days should we spend here? What order should we ride the rides (touring plans)? Don't forget tickets, which should we buy and how much will they be? Two of the seniors will need to have wheelchairs. One will take the wheelchair with them, one will rent them at the parks. My wife and I will be celebrating our anniversary and Quinci will be celebrating her birthday. Is there something "special" that we can do while we are there? Should we have a special dinner to celebrate? Downtown Disney is a place we love to go to shop and spend some time. When should we fit it into the schedule? Where should we eat while we are there? What stores should we visit? We don't go to the water parks so you don't have to worry about them. We want to have on "sit down" meal a day. That means in a restaurant. The other two meals we will have as "counter service". This means getting food from places like the food court at the mall. All the Disney hotels have food courts, if you decide we need to stay off property you need to figure out how/where we will eat. Lunches are much cheaper than dinners at sit down restaurants. We need to keep this trip as inexpensive as possible, the budget is tight and we need to watch the $$! We love souvenirs, but usually only spend about $60 per person. Any recommendations? Not all attractions/rides will be open while we are there. Don't put those rides on the touring plan. I have a lot of resources for you to peruse to help you get the job done. Below are some of my favorites. I would suggest you use them to help you accomplish your part of the task. 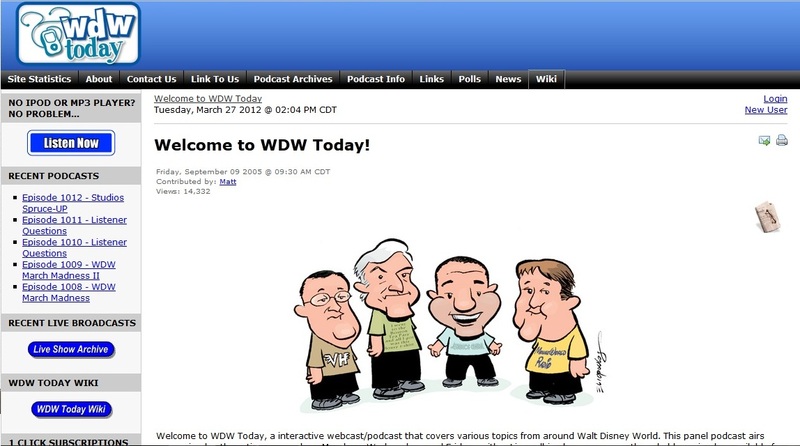 WDW Today podcasts are excellent resources that can be used. Here is a link to the podcast archives. Here is a link to their wiki. I would suggest you look for podcasts that talk about what information you are looking for. I have listened to all of these podcasts (over 1000 of them!) and they are great, but you don't have that kind of time. 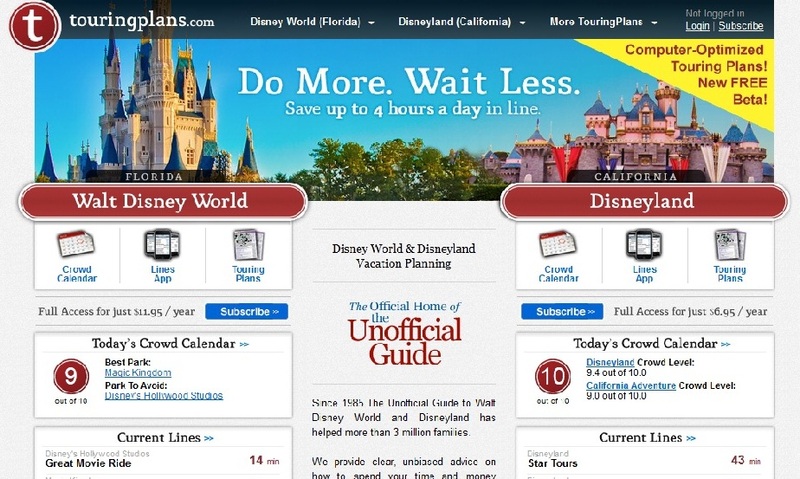 TouringPlans.com Is a great place to find out information about when to visit specific parks and what order you should go on the rides. I have a paid account with them and you can use my log-in to get the personal touring plans made for me. 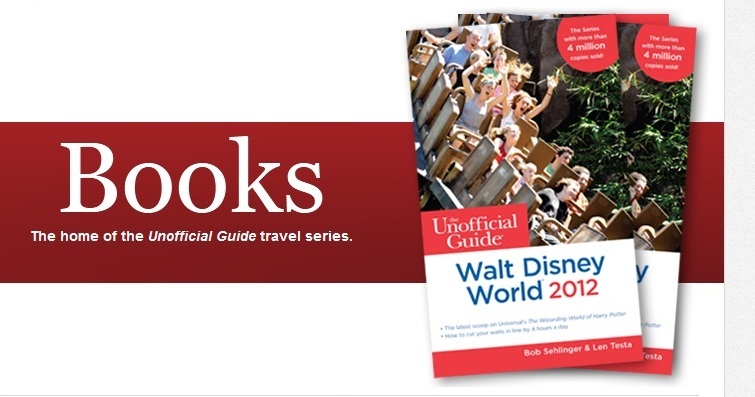 The Unofficial Guide to Walt Disney World is my favorite resource for WDW. I have several copies including on the Kindle so make sure and borrow them from me. AllEars.net is a great site with lots of restaurant reviews. Make sure to check them out if you are doing the food task. Mouse Planet is another really good resource for WDW information. MouseSavers is a great place to find out about discounts and important information like ride closings.